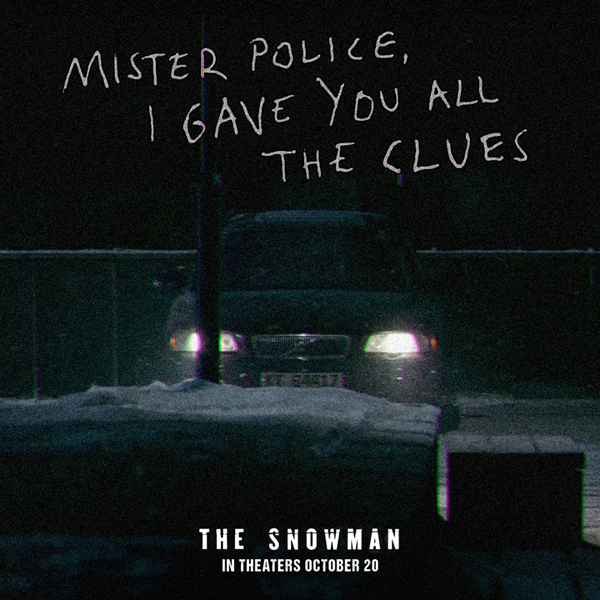 The slow-paced chilling story of "The Snowman" lacks character development to make audiences connect with any character and build suspense. Although the acting is fantastic, Michael Fassbender was incredible in playing a flawed star detective, but the sensibility of playing a human character lacks in the story. Fassbender's co-star Rebecca Ferguson matches up well, but still falls short of getting the audience on her side. The most important part of a crime drama is the detective work and it seems that everything falls into place fairly easy and when needed for the detectives. There's no real taunting involved in the chase for the killer and no danger until the final act. What seemed as a crime thriller in the trailer turned into a two hour long slow burn of a crime drama with little excitement in a non existent chase. Even the connection between the killings doesn't become apparent until about half way through the movie if not later. The ending seems to be tacked on to have some sort of resolution, as the conflict doesn't logically lead to the final confrontation. The flawed characters come as a nice surprise as the detectives are not perfect, the story becomes much more entertaining trying to piece together the puzzle, even if its highly predictable from beginning to end.